Last year, I bought my first new car, and I couldn’t be happier with it. I love how it looks, how it drives, and how seldom I need to fill it with gas. I also love how comfortable and well entertained it keeps me – even on lengthy trips (i.e., every trip, given the traffic in Los Angeles). Oh, and I love how it even remembers how to adjust my seat to my liking. When I drove my new car home from the dealership, I immediately knew I had found the perfect vehicle for my needs – one I would enjoy driving for years to come. Mind you, this was no small accomplishment, given that it took me nearly a half year – and a ton of content – before I was ready to make my purchase. Few industries are subject to as much scrutiny and complexity as the automotive category. Not only is every automotive sale highly subject to the personal needs and preferences of each consumer (i.e., in terms of things like safety ratings, style, features, cost and available financing, and more), there’s a lot of unpredictability in the overall decision-making process. Yet the one thing that most automotive consumers seem to have in common is their reliance on digital content in the purchase process. According to an Autotrader and Kelley Blue Book study 88% of prospective buyers use the internet for their research. However, consumers’ increasing reliance on online-based auto information doesn’t always translate to marketing opportunities for car manufacturers. In fact, according to the Autotrader/KBB study, 78% of new- and used-car shoppers turn to third-party sites to get vehicle information, compared with 57% who visited a dealership and 36% who went directly to an OEM (original equipment manufacturer – e.g., Ford, Toyota) site. Furthermore, while consumers increasingly take it upon themselves to become more informed about car buying, their research efforts aren’t necessarily making them more visible to dealerships, or even to sales reps hoping to influence their decisions when (or if) they eventually visit a dealership. For example, a 2015 Autotrader Automotive Buyer Influence Study reveals that 75% of buyers end up purchasing the same make/model they had in mind when they first visited the dealership. In addition, according to Harvard Business Review, 75% of buyers had not contacted the dealership before visiting, and 25% left without talking to anyone. And even when sales reps are able to connect with a viable lead, it’s still difficult to determine where the lead is in the funnel, let alone what content the potential buyer wants – or how the lead wants to receive it – at any particular micro-moment of interaction. According to Brain + Trust Partners’ founding partner Christopher Barger, only about 18 to 20% of an automotive OEM’s audience is in the market to buy a new vehicle in any given 12 months. Such a long, unpredictable sales cycle makes it challenging for marketers to quantify the ROI of their content efforts, let alone accurately analyze any resulting insights to inform the direction of their future content programs and campaigns. Another content trap that Christopher sees automotive marketers falling into is emphasizing specific products or their attributes instead of promoting the overall experience of using the vehicle. “As technology and demographic and behavior patterns shift, and options like ride-sharing, car-sharing, and self-driving vehicles grow more popular, the uncomfortable reality for the auto industry is that car ownership is very likely to decline – possibly quite sharply,” Christopher says. However, he thinks most automotive marketers aren’t adjusting their content marketing strategies to account for these potential disruptors. “(We) need to adjust our content to focus on our increasing role as mobility service providers. The brand experience – whether OEM, Tier 2, or dealer – is going to be more important than [the characteristics of] our individual vehicles or how we service them. Our marketing needs to start reflecting that,” he advises. At the root of this issue is that marketers in this industry still largely focus on creating content from a business-first perspective rather than a consumer’s vantage point. “We don’t often enough begin content development by thinking about what the audience is thinking about and experiencing – how they prefer to view content like ours, what else they’ll likely be doing when they discover it, or why they should pay attention to us, instead of the dozens of other messages they’ve already decided to filter out,” Christopher says. There’s also another reason why Christopher believes this industry’s content strategies need to embrace audience-centricity: The new competitive set in automotive content is tech companies – not other car manufacturers – and they are operating on a much more advanced playing field. “The new automotive ‘Gang of Four’ (Google, Apple, Facebook, Amazon) already get how to cater to audiences’ needs. If OEMs keep kicking out product and service ads masquerading as content, the Gang of Four is going to eat their lunch, and customers will leave them in favor of other emergent players in the space,” he says. What can brands do to improve their ability to connect with today’s in-market automotive consumers? For starters, since they operate in an industry fundamentally tied to consumers’ on-the-go needs, automotive marketers should certainly understand how integral a role mobile content plays in influencing the purchase process. Consider this: 51% of respondents in the J.D. Power 2015 New Autoshopper study say they use a smartphone or tablet to help find the make, model, price and dealership best suited to their needs. Furthermore, Christopher predicts, as connectivity and personalization inside the vehicle continue to improve, they will create more opportunities to deliver highly pertinent, personalized content in new and more relevant ways. “If we do this right, we will have a greater opportunity than ever to reach and influence customers – even as their demand for owning our products diminishes over time,” he says. This point is critical, particularly as the dealer’s role in car sales is increasingly marginalized: 55% of car-buying consumers test drive only one car before they decide to buy, and 33% of consumers visit just a single showroom, according to DealerRater research. Its data also suggests that 80% of a consumer’s first contact with a dealership store occurs in a phone call or walk through the door. As with sales of most big-ticket, high-consideration items, automotive brands have a driving need to keep customers happy after they’ve driven the vehicle off the lot. This is an area where content marketing can really help businesses shine. Subaru has earned a reputation as a brand that enables sports enthusiasts and active families alike to explore and enjoy the great outdoors. 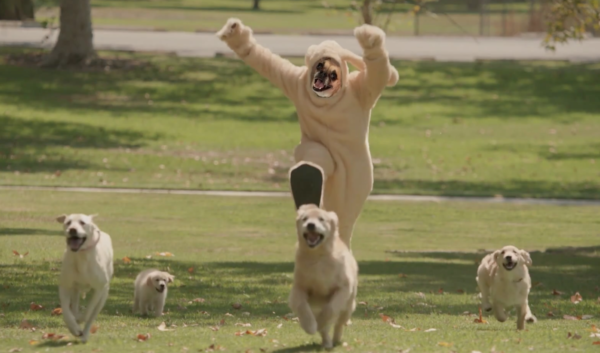 And given how many people consider their pets to be their loyal outdoor companions, the Barkleys – an active family of golden and Labrador retrievers – are a natural fit for Subaru’s content efforts. As a thank you to its owner community, Subaru recently sent a customizable video, which enables brand fans to virtually insert their own likeness (or in my case, the likeness of my dog) into a fun day at the park with the Barkleys. Not only did the spot tap into the personal passions of its customers, it gave them a way to see themselves (literally) as part of the experience the brand promotes. Dedicated to motorcycle enthusiasts with a special passion for Harley-Davidson, HOG Magazine elevates biking to an art form. 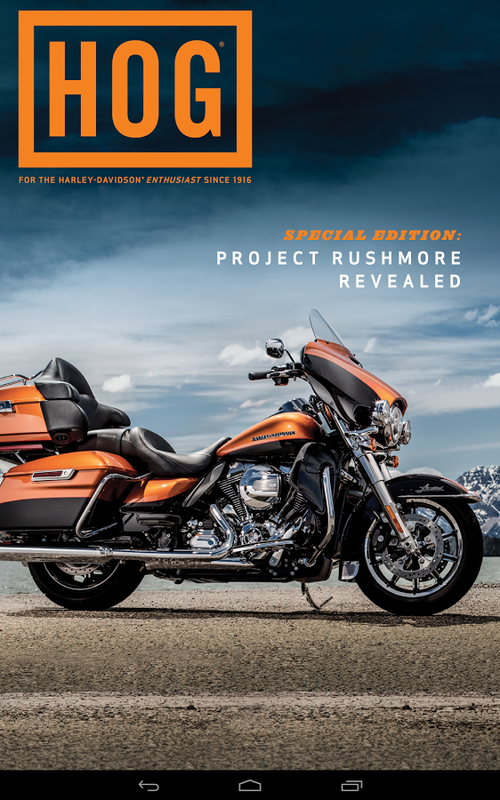 It was named Best Print Magazine in 2016 by the Content Marketing Awards judges for its beautiful design, inspired editorial, and commitment to the Harley Owners Group community. Each issue includes member stories, gear reviews, ideas for customizing bikes, and suggested road trips. The true beauty of the HOG glossy, however, is how it all comes together with arresting photography and design. After creating a TV spot featuring a 15,000-pound truck made of ice to demonstrate the power of its MotoMaster Eliminator Ultra car battery, Canadian Tire supported the campaign with a behind-the-scenes documentary, a reverse time-lapse melt video, and a video of the ice truck’s longest drive. Even after the original TV spot was removed from YouTube, the online content assets lived on, igniting social conversations and continuing to build YouTube subscribers a year after the campaign launched. Luxury car brand Lexus surprised the world with this video depicting what seemed to be a working hoverboard. While viewers initially thought the invention was a hoax, it turned out to be a fully functional prototype, demonstrating that, in the words of the company’s chief engineer Haruhiko Tanahashi, “There is no such thing as impossible, it’s just a matter of figuring out how.” As a bonus, the Slide video ends with a link to a microsite that explains the technology behind the invention, and gives viewers a glimpse of other automotive technology projects Lexus has in the works. While Lexus had no intention of manufacturing levitation devices as part of its vehicle lineup, the content effort paid off in terms of generating extra brand enthusiasm, along with plenty of kudos for its commitment to tackling motion-related challenges through design and engineering innovation. Acura TLX’s What a Ride! This fast-moving, high-intensity spot for the Acura TLX goes where many other automotive brands have yet to tread: the world of adaptive, mobile-first content. All the visuals were shot vertically and arranged in a three-panel layout so they would be easily transferable to mobile ad formats. And, according to an AdAge article, Acura purposely avoided celebrities and spoken dialogue so it could adjust the content on the fly to adapt to shifting market conditions or emerging consumer feedback. “We can see what combination performs best over time. Or, if we are hearing feedback in terms of other attributes of the car that we may not have predicted, it’s very easy for us to cut it and have that option available quickly,” says Ed Beadle, senior manager-integrated marketing at Acura. How will your content drive interested buyers to your offerings? Useful, informative, and compelling content like the examples above supported my decision-making through every step of my car buyer’s journey. Because these businesses put my informational needs ahead of their sales goals, I found a car I love to drive – and I discovered a few businesses that I’m happy to evangelize and support with future purchases. Have you worked on a program that’s inspired results like this? Feel free to share your favorite examples in the comments below. Want more insights, ideas, and examples on how your automotive brand can leverage content marketing to its best advantage? 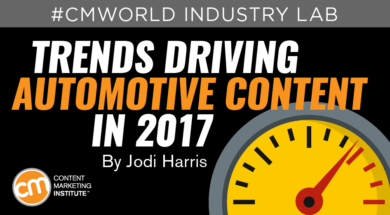 Register to attend the Automotive & Transportation Lab at Content Marketing World 2017.